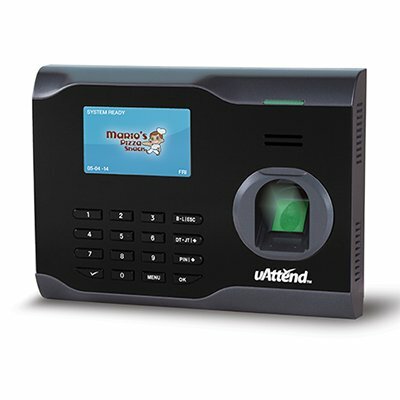 The BN6000 is a state-of-the-art Biometric (Fingerprint) time clock that connects effortlessly to the Internet using any wired router, allowing you to perform time and attendance functions from any computer with Internet access. 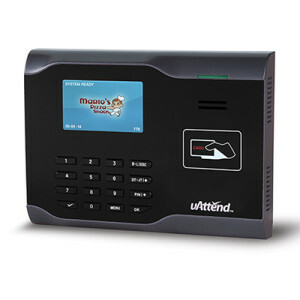 The BN6000 is part of the uAttend Employee Management System*, a web-based service that allows for employees to punch in and out from the BN6000, from a computer, a smart phone app, or from a telephone. Employee Service Options – Employees can request time off, check hours worked, and view benefit accruals from the device. Designated Break and Lunch Punches – Employees can punch for break and lunch or can use automatic deductions. Tip and Expense Reporting – Employees can add tips and expenses in the device for accurate wage and reimbursement reporting. Job Tracking – Track two levels of job details and get accurate job reports to be used for invoicing or records. Time Off Requests – Employees can request time off directly from the device. Two levels of approval (supervisor and administrator) can be set and approved time off approves coded correctly on the employee’s time card. IMPORTANT NOTICE: EXTREMELY AFFORDABLE MONTHLY SUBSCRIPTION FEES ARE REQUIRED TO — USE THE uAttend EMPLOYEE MANAGEMENT SYSTEMS. uAttend TIME CLOCKS WILL NOT FUNCTION WITHOUT A SUBSCRIPTION.